I love participating in Craft Lightning and this time, we are doing a DIY wedding edition! This week’s hosts are The Country Chic Cottage, 30 Minute Crafts, and Sweet Rose Studio. 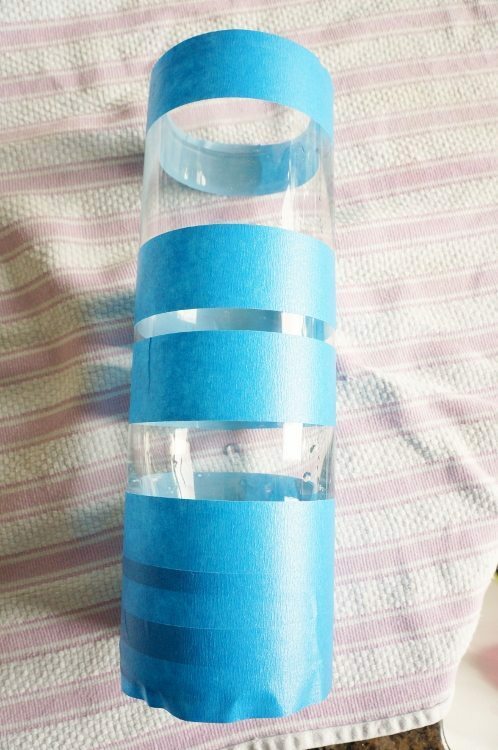 For my fifteen minute craft I decided to make a simple but chic and stylish DIY wedding vase. 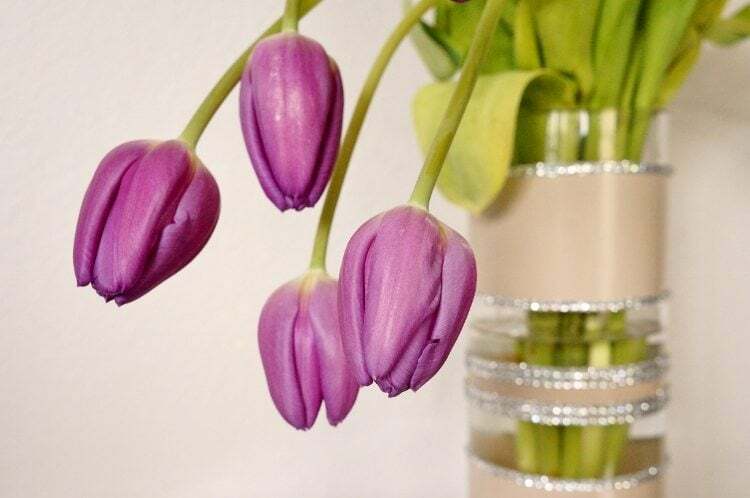 It’s perfect for centerpieces, or other table top wedding décor. 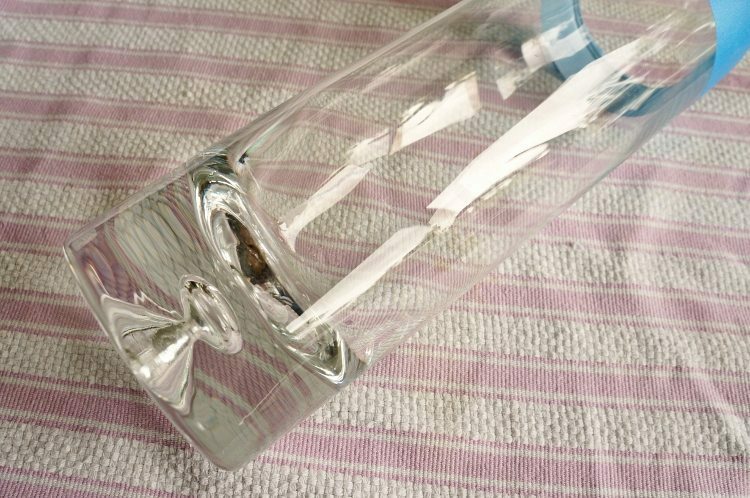 I chose a cylinder shaped vase because it’s easiest to achieve straight lines for spray painting. You can also try rectangular or square shapes as well. Oblong shapes are difficult to tape off even lines with the painter’s tape. 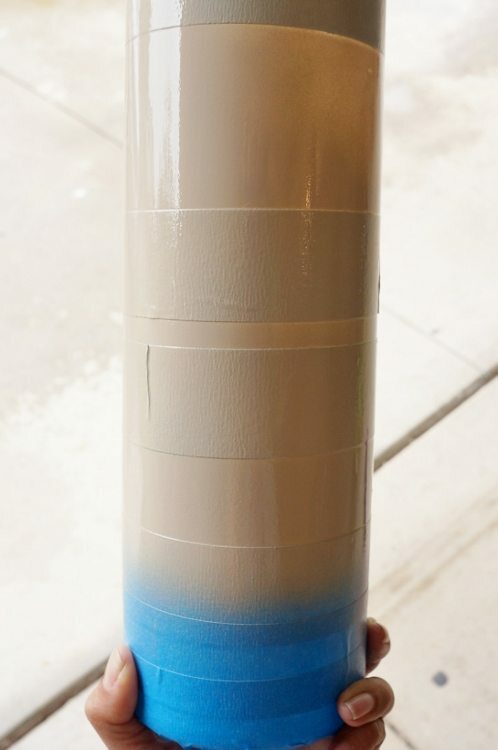 Use Painter’s tape to tape off the desired lines. Rub your fingers over the tape to ensure that there are no spaces or gaps. 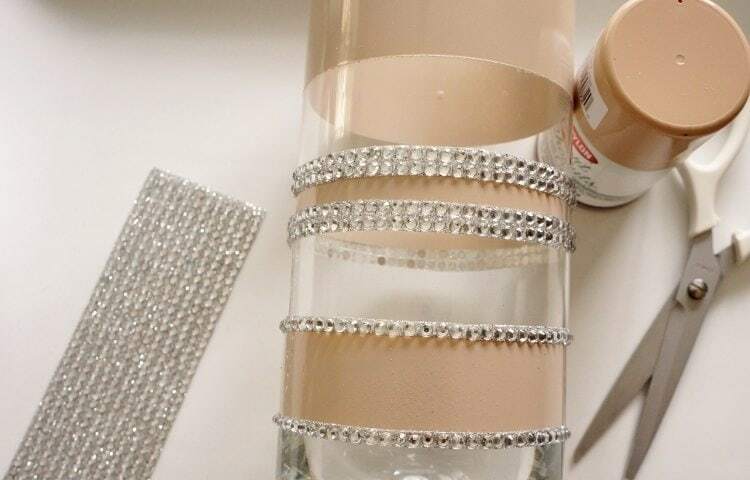 Spray paint your vase with 2 or 3 light coats and allow it to dry completely and remove the tape. 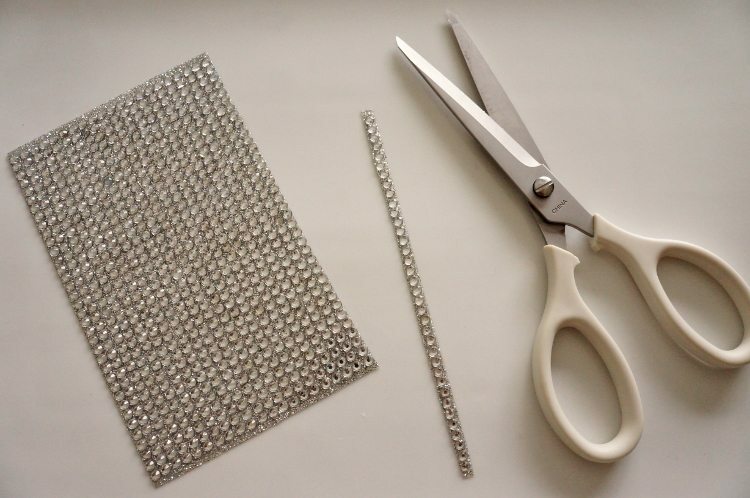 I found David Tutera’s adhesive rhinestone strips in the wedding section of the craft store. I cut them into strips. Two strips fit around each stripe. 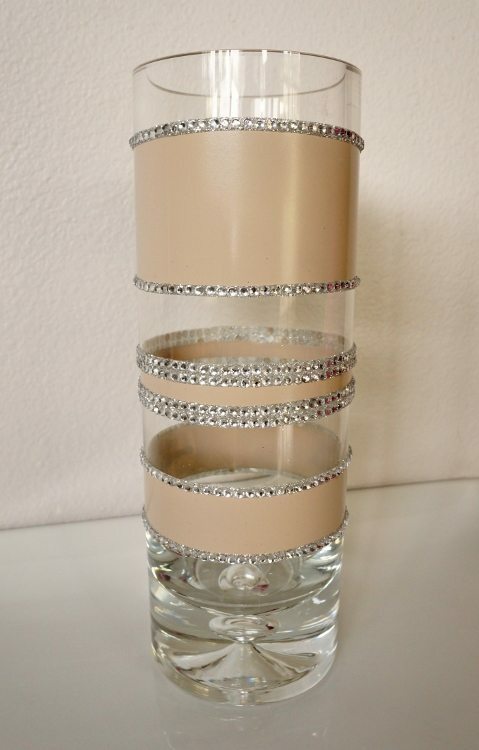 I covered each line with rhinestones. It turned out beautifully. especially after I filled it with my favorite flowers! 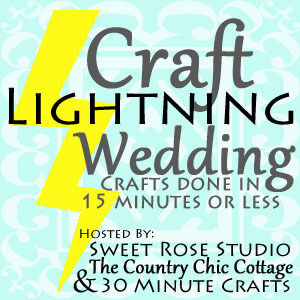 Thank you to The Country Chic Cottage, 30 Minute Crafts, and Sweet Rose Studio for allowing me to participate in the Craft Lightning Wedding Edition! So cute Dinah! Thanks for joining! Thank you for having me again, Angie! 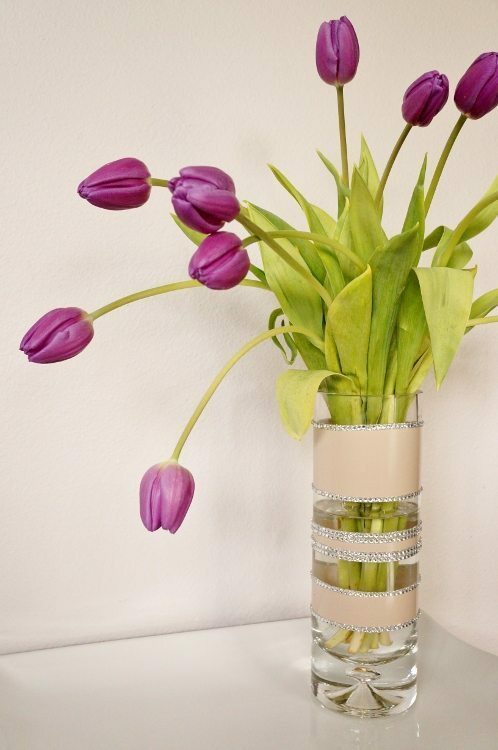 love the spray paint on glass – so easy to do isn’t it? So pretty! Great tutorial too! Thank you so much for sharing at The Wonderful Wednesday Blog Hop!